Summer is approaching, and for some of us that means panicking about our beach bodies. You throw out the fast food bag at your desk and immediately begin researching articles like “Lose 20 lbs in Three Weeks” or “How I Lost the Weight and Kept it Off Forever,” ready to kick your fitness goals into high gear. Suddenly you download four fitness apps and your Pinterest boards are overflowing with all things weight loss and 30 minute workout routines. You might take things further by signing up for a costly gym membership, hiring a personal trainer, or binge grocery shopping for the latest diet fad. 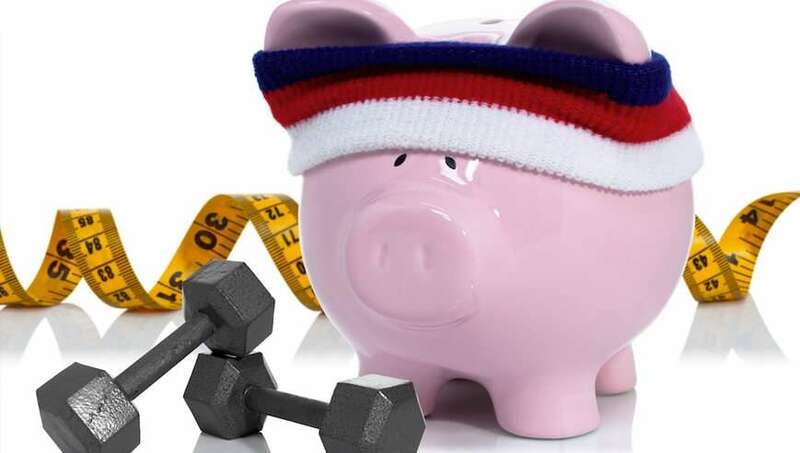 Physical health is important, no doubt, however it’s all too easy to let your financial fitness fall to a low priority, putting your long-term financial health in jeopardy. You may end up losing those extra pre-summer pounds, but maintaining your bank account on a high spend, low savings diet will leave that poor account starving. So, before investing in a new high-tech juicer and paying premium fees for the water Zumba class you’ll only take twice, evaluate where you are in your financial wellness journey. Huh? A financial wellness journey is a map of the short and long-term financial goals you’ve set for the future. If you haven’t ironed out a financial plan yet, now is a great time to sit down and get started. With April being Financial Literacy Month, you’ll find a wealth (yes, pun intended) of financial advice for the beginner to the expert, on topics ranging from budgeting tips and tracking apps to investment advice. Visit financialliteracymonth.com for your free 30-day path to financial literacy and get started on your quest to take control of your financial health. In addition to the 30-day challenge, financialliteracymonth.com has a huge inventory of interviews with top finance experts with timely advice we all can use.